Dwellers gather for bird’s-eye implosion view at Tumble Down fundraiser - The Resident Community News Group, Inc. | The Resident Community News Group, Inc.
For the Downtown Dwellers who gathered at the crack of dawn atop The Peninsula to watch the implosion of the former City Hall Annex building, the group’s Tumble-Down fundraiser for artwork on the Riverwalks was not only a fun but also a symbolic event. 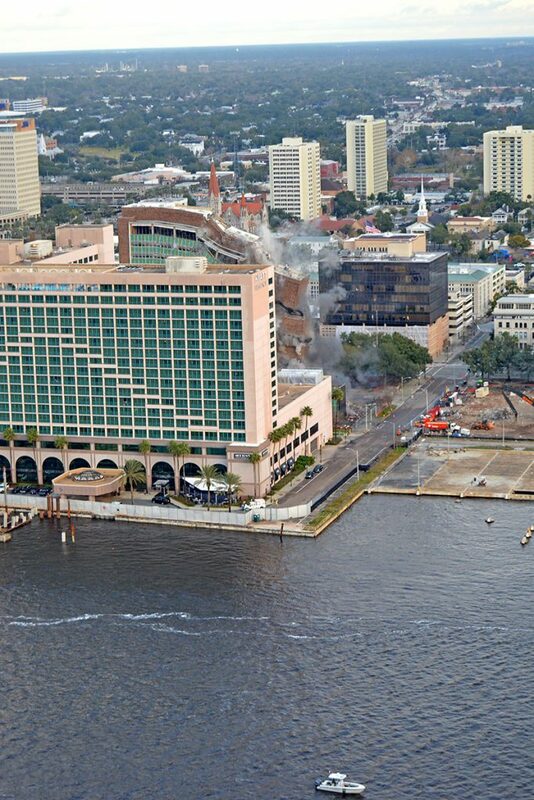 “It means we are out with the old and in with the new,” said Elliotte Harvey, a Peninsula resident, noting that like many who live in Downtown Jacksonville, the removal of Old City Hall from the City’s skyline symbolizes the beginning of a bright future for Downtown. The implosion of the former City Hall Annex building. 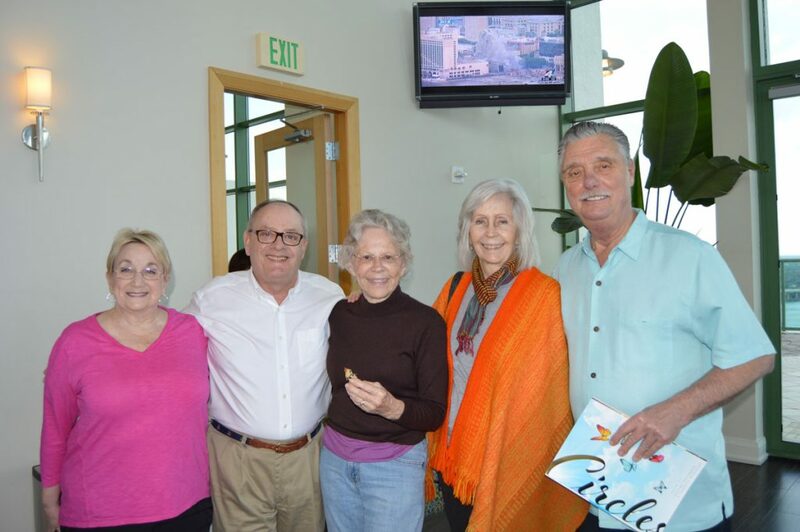 Harvey was one of nearly 40 Downtown Dwellers and their guests who gathered for an early breakfast on the 38th floor of the Southbank high rise. Also included in the party were three members of Downtown Vision, Inc. – Junine Castin, Kat Hartwick and Eric Miller, a Southbank resident. The group seeks to transform Downtown into its own neighborhood and use its influence to encourage city officials to improve the Riverwalk and other public facilities so it will become a place more people will want to live.